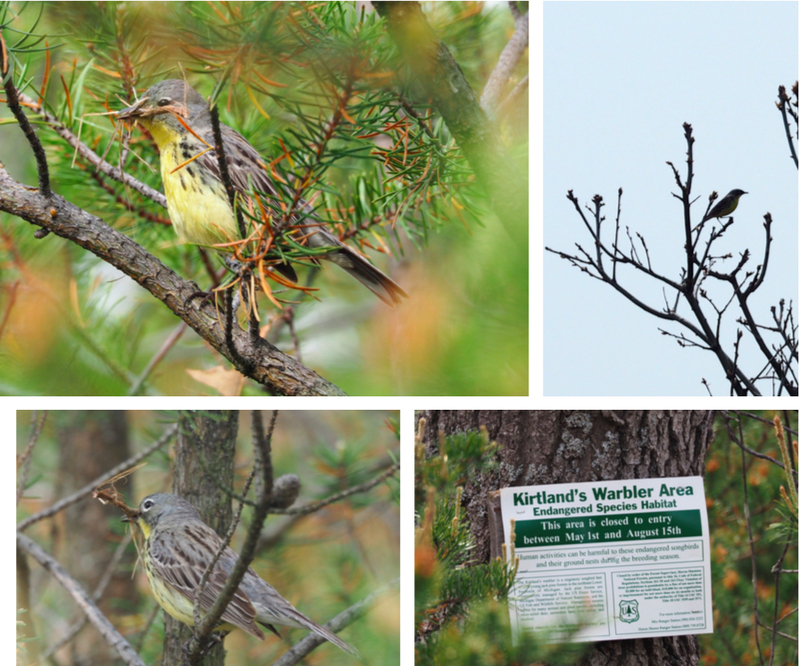 Today we met the Audubon tour to see the rare and endangered Kirtland's warbler. The best view we had of the bird was of the above female (above and below left) who was gathering twigs to make a nest. We heard many of the males calling to designate their own territory, where their mate could make a nest. The tour meets at the Hartfield Pines State Park and proceeds to the managed habitat that's kept perfect for the breeding birds. Unfortunately the tour was crowded and an inconsiderate fat lady elbowed Lenny out of her way when a bird was posing, but we enjoyed most of the trip, and later went to a location where the birds can be seen from the road, which is where we saw the one in the tree. It's a $5000 fine if you enter their territory without the guide! 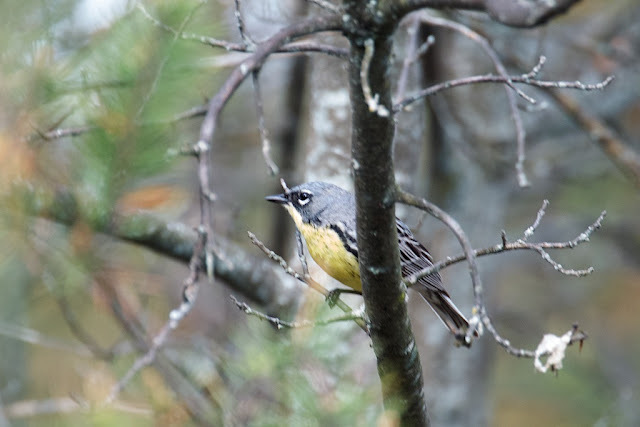 Kirtland's warbler, male, Len's photo. Looks like a really good sighting! I'm not sure I'd recognize one if I saw it. The photos are great!